Always here for electronic music that begs you to submerge in it, somewhat goopy sounds that come in slowly and take their sweet time receding. 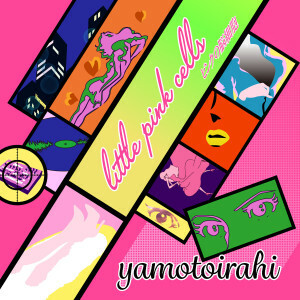 Yamoto Irahi’s Little Pink Cells kicks off with a fine example of this, the half-speed “Green Sea,” wherein vocal samples splash around in some twinkly lagoon. Irahi continues the slowly unfolding vibe on the following two songs — actual words pop up on the slightly springier, cartoon-sound-effect featuring “Pocket Game,” though “I’m just killing time” matches the structure well. A nice collection to dunk your head in, get it here or listen below.